St. Gambrinus is known as the patron saint of beer and an icon of brewing. The bar, on Atlantic Avenue between 3rd and 4th Avenues in Brooklyn, does his name proud. 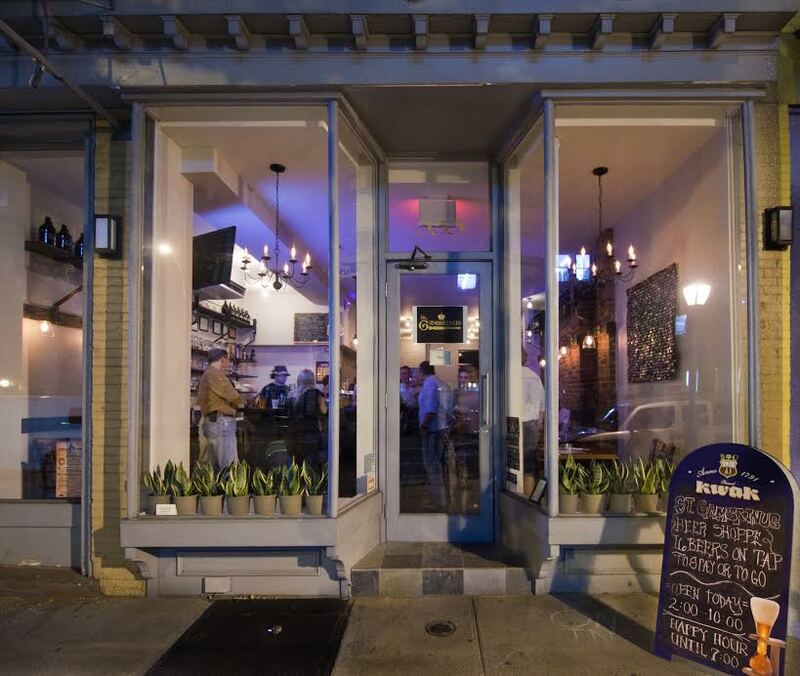 With 16 taps, over 200 bottles, lots of seating, and some delicious snacks, St. Gambrinus is a great place for a drink, a quick growler fill, or some beer shopping. Owners John, Julio, Ray and Heather met at the Blind Tiger and bonded over their love of beer. 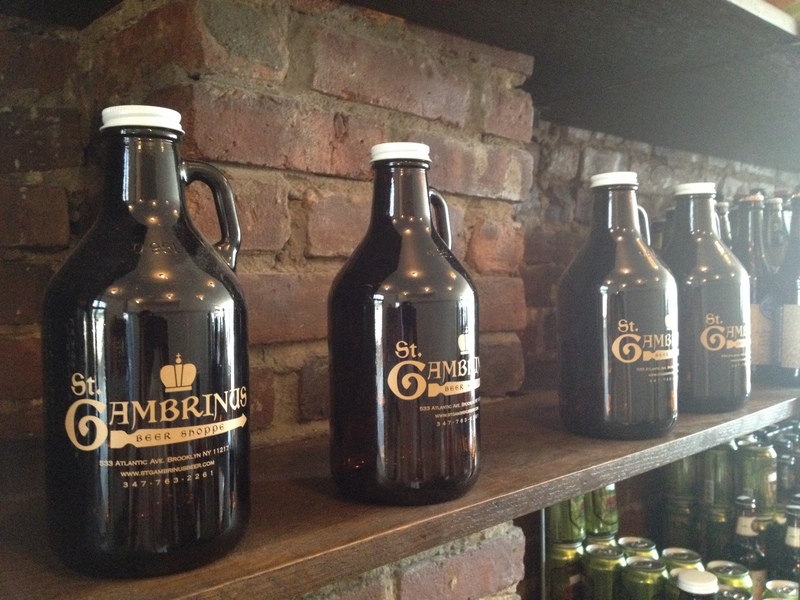 They opened St. Gambrinus August 2013, with a focus on smaller local breweries. When I visited, 9 of the 16 taps featured local beer from Other Half, Grimm, Cricket Hill, Carton, and Barrier. They also usually have something from Finback and Singlecut on tap. Unlike most bars, you aren’t forced to have smaller portions of their rarer stuff. In fact, I even got a full pint of Maine Beer Co Lunch. That’s right, a PINT of Lunch. 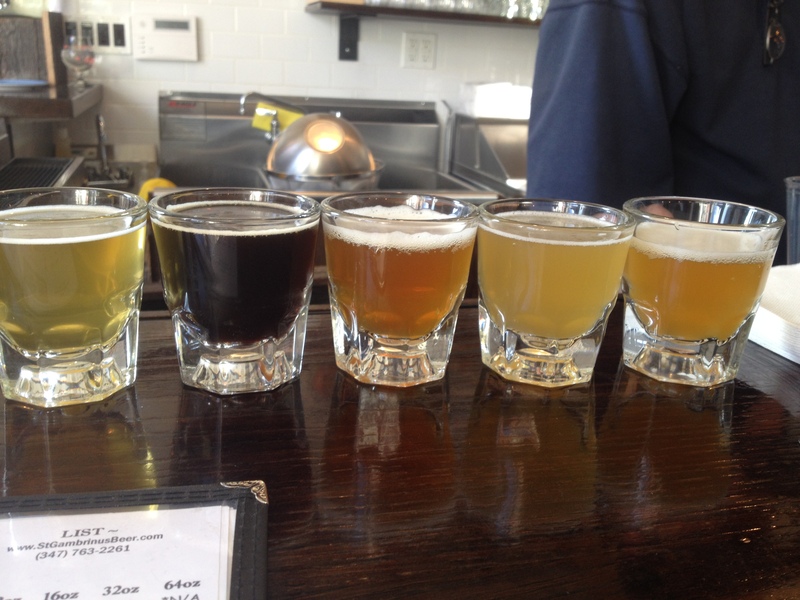 They also do flights (4 pours for $8, 5/$10, 6/$12). My mostly local, totally delicious flight consisted of Grimm With Love From Grimm, Carton GORP, Other Half Green Diamonds, Allagash Saison, and Other Half Veldrijden Love. All were great, but the big surprise was Other Half Veldrijden Love. A saison, it had a nice funk aroma and tastes of banana, straw, and lemon. There is no full kitchen here, but they make do with great snacks and grilled cheese with a fancy toaster. Keeping with the local philosophy, the cheese and meat is from Stinky Brooklyn, the olives are from Sahadi’s, and the bread is from Caputo Bakery, all just down the block. The rosemary ham and cheese, and buffalo chicken and blue cheese melts are the most popular. I was also happy to see Zapp’s potato chips, an addiction from my college days in Louisiana, and a nice pickled vegetable selection. A new discovery for me was lard bread from Caputo. Basically, it’s bread with ground black pepper and prosciutto baked into it, and I’ve been craving it ever since my first bite. There’s ample seating at the bar and tables throughout the store. Once all the permits are in place, the backyard will be open for seating too. 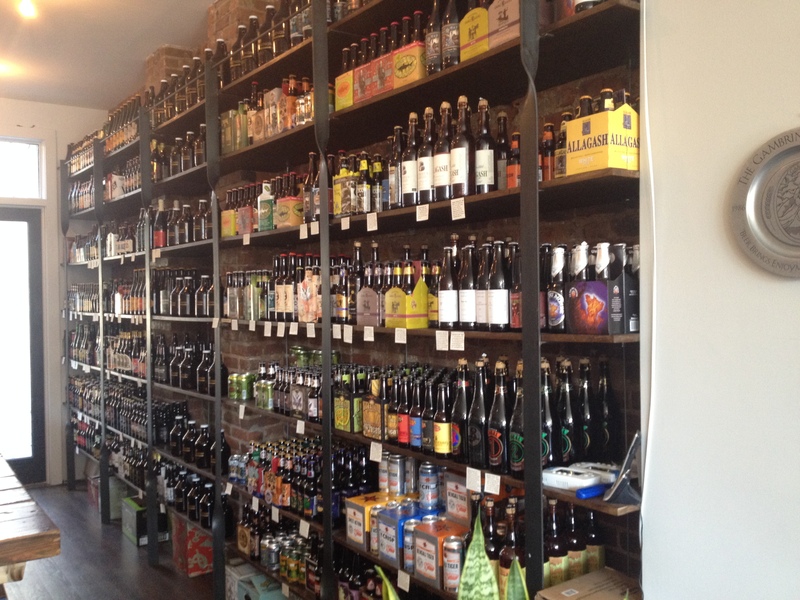 The shop has a great bottle selection. A big variety of Crooked Stave and The Bruery really tempted me, along with Evil Twin’s Justin Blaeber and Biscotti Break Natale.